It's almost Bonfire night. 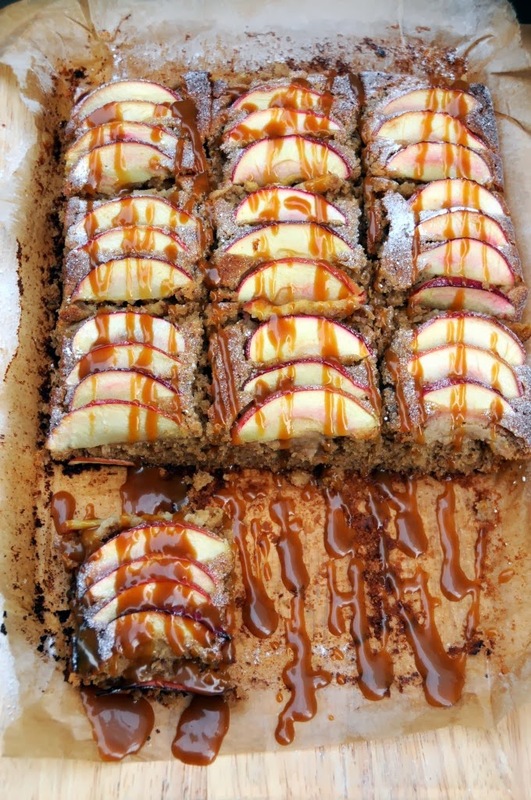 I am dreaming of my Spiced Toffee Apple Tray Bake but my phone is going crazy this morning with texts from friends wishing us luck for the Big Meeting today. The official Matching Panel Meeting. The one where the 'powers that be' get to decide if this is a definite match or not. I don't feel even vaguely nervous. In fact I am so chilled out, you may want to check I am still breathing. But I daren't tell my family about this meeting. I don't want them to worry. Surely it's going to be a yes. Surely they can't take us this far down the road only to say no. The chair lady is the same one we had for our Approval Panel months ago. She tells me she is surprised that although she chairs hundreds of these meetings, for some reason she remembers us. Oh lord, is that a good thing? It takes the similar form of the Approval Panel where a line of vultures panel members fire questions at you. The first one being "why do you think LBM is a good match for you?" I joke about the temptation to say, "I have no idea, you tell me, you chose him for us." They all laugh but I get the feeling they are just being polite and don't quite get the angle of my sense of humour. But I can't help myself. Maybe this is my subconscious nervousness shining through, as the inappropriate jokes continue to flow. LRUN is now giving me 'that look' and when they ask me how I am going to embrace LBM's Portuguese heritage, it takes everything in my power not to mention our love of Nando's burgers. They make us wait ages for the decision. It's starts to worry both of us and I can see the panic in LRUN's face (well actually he has disappeared to the loo so that was my biggest clue) They eventually return and express their concerns of how difficult we are going to find this all. How LBM is so attached to his foster carer that he will find the move distressing. Are we going to cope as a couple? In fact they are so negative I start to doubt myself and thoughts of 'what have we done' begin to swirl around my head. But then they announce it was a unanimous yes and that we could go home and crack open the bubbly. Miss Delia jumps up to hug me and admits to me it was tough. I can see she is exhausted but relieved. We hand over our Running for President photos and the Tomy Photo Book (cringe) and the infamous DVD (more cringe) to Miss Scarlett. For a moment I have an awful vision of them dimming the lights, turning on the big screen, getting the popcorn out and watching us make complete lemons of ourselves on this DVD. But thankfully, she puts it in her bag ready to give to the Fairy Godmother tonight. I will admit, there were many...many outtakes on that movie. And a lot of sniggling. Oh dear gawd.... Please let him find us funny. Congratulations Mummy and Daddy!!! We are so chuffed for you!